January 21, 2015 (Traverse City, MI) — New this year, MyNorth Media, publishers of Traverse, Northern Michigan’s Magazine, will produce Michigan Land Use Institute’s Taste the Local Difference as a magazine that combines the utility of the previous maps with fascinating stories and stunning photography of the Northern Michigan food scene. 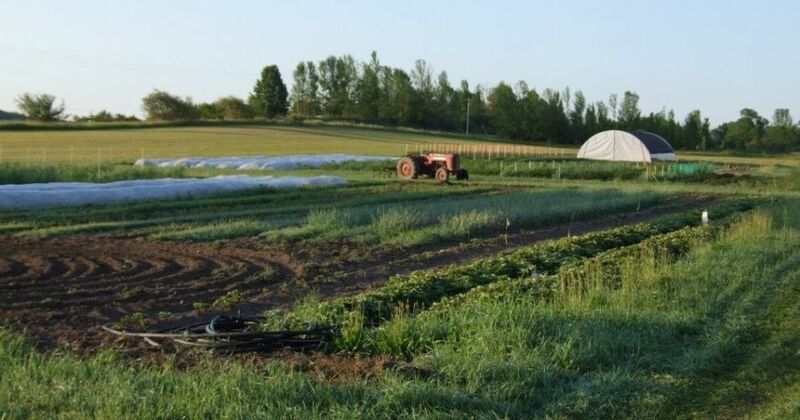 For a dozen years, the Michigan Land Use Institute and other food system partners have produced a variety of communications to connect Northern Michigan food producers with the public. Communications have been brochures, booklets and maps, seeking to expand the region’s use of its local food sources by consumers. In its twelfth year of publication, the Taste the Local Difference® 2015 Guide to Food & Farming promises to be the most comprehensive publication of its kind. Spanning 10 counties in northwest Lower Michigan, it is the go-to source for connecting with this region’s famed local food scene. Flight Path Creative, a Traverse City full-service brand communications firm founded by Aaron Swanker and Dan Smith, is designing maps and also produces the Taste the Local Difference mobile application. The Taste the Local Difference app uses the latest in GPS technology to guide one directly to the local farm, retailer, or restaurant sought. One can search by farm, by food, or by location. One can even use the phone’s navigation app to get turn-by-turn directions. More than 600 farms and businesses are expected to participate in the Taste the Local Difference magazine next to stories about food, farming, eating, drinking and all the things that make up Northern Michigan’s renowned foodie culture. Plus, dozens of other markets, stores, restaurants, and institutions. Advertisers also get mentioned in Taste the Local Difference® biweekly email newsletter, The Local Food Companion, sent to more than 3,000 subscribers, listed on the Taste the Local Difference® website, and the Taste the Local Difference® Guide smartphone apps. Additionally, MyNorth Media will provide additional visibility of the publication on MyNorth.com reaching an average of 100,000 visits monthly, in its email newsletters reaching 74,000 subscribers and through ShopMyNorth where out of state visitors can have the publication mailed to them. MyNorth Media, founded as Prism Publications Inc. more than 30 years ago by Deborah Wyatt Fellows, publishes Traverse, Northern Michigan’s Magazine, Northern Home & Cottage, MyNorth Vacation Guide and MyNorth Wedding, in addition to several other print and online publications. It also produces MyNorth.com, the online home of Traverse Magazine, ShopMyNorth.com and MyNorthTickets.com, Northern Michigan’s ticket source. Traverse Magazine and its staff have won more than a dozen national and international awards for excellence. They were named to 50 Michigan Companies to Watch in 2014. And Traverse Magazine won a 2008 silver award for general excellence from the City and Regional Magazine Association and the 2007 “Magazine of the Year” award from the International Regional Magazine Association. MyNorth Media has also published Reflections of a Life Up North, a coffee-table book of stunning photography from Traverse Magazine paired with a collection of Fellows’s columns, The Cottage Cookbook, 101 Ways to Love Traverse City and Beautiful Sleeping Bear Dunes. MyNorth Media is also a proud sponsor of many events including the Traverse City Film Festival, Shanty Creek’s Beer & Boards Festival, Traverse City Wine & Art Festival, Traverse City Friday Night Live, Paella in the Park and Elk Rapids Harbor Days. The privately held company is headquartered in Traverse City, Michigan. For more information visit MyNorth.com or call (231) 941-8174.